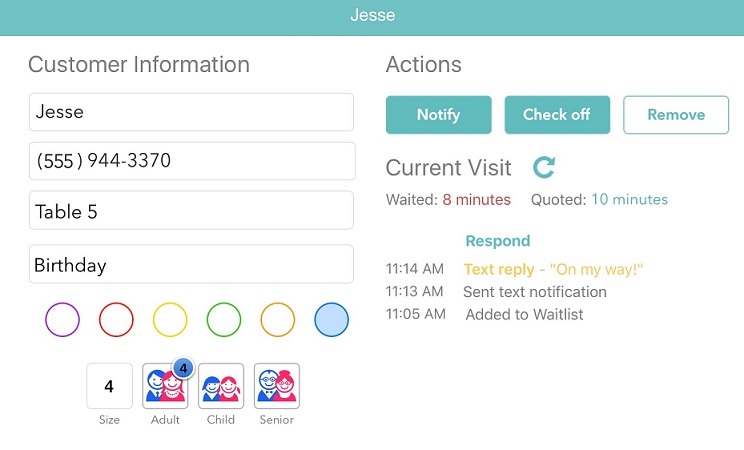 Waitlist Me makes it easy for your customers to let you know with a quick text response whether they are cancelling or on their way, so you know whether to expect them or not and can plan accordingly. We are now combining that simplicity with more flexibility for handling other types of text responses, so you have more visibility into what your customers are thinking and can make smarter decisions faster. 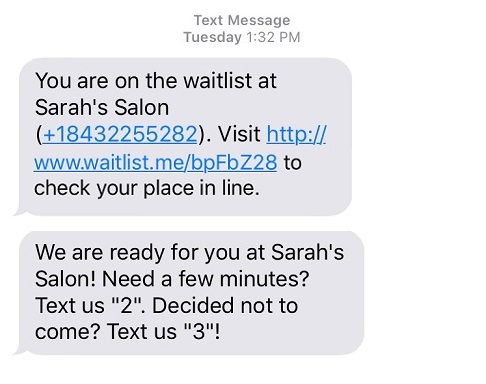 If people text back something other than a 2 or a 3, you’ll see “text reply” in their row on their waitlist. Tapping on their row will open up the Edit Party screen, which will show their text. You can see things like if they mentioned how long they would be, if they had a quick question, or didn’t understand whether to use a 2 or a 3 and just replied back with something like “Cancel”. You can also see other important details in the Customer Visit section, such as when you notified them it was their turn, how long they were quoted, and how long they have been waiting. 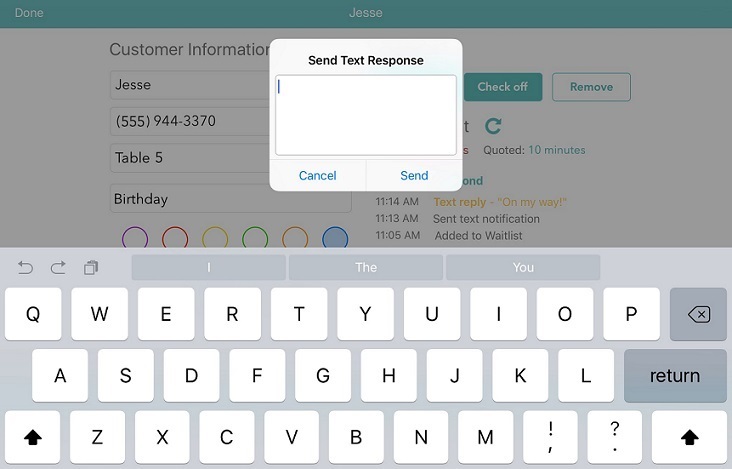 Pro users have the additional feature to send custom text responses to texts received, up to three times per customer visit. The point is to keep things simple for you and your customers rather than get into a long chat with them that could be time consuming. If a customer tries to call the assigned phone number in response to the text or call coming from that number, they will hear a message explaining that the number is only used for notifications and it will provide them your regular business number to call. Pro users have the option to create a custom text-to-speech message for handling these inbound calls. Here is more on customizing notifications.